In 2010, there were 267 new posts, not bad for the first year! There were 321 pictures uploaded, taking up a total of 147mb. That’s about 6 pictures per week. The busiest day of the year was April 19th with 189 views. 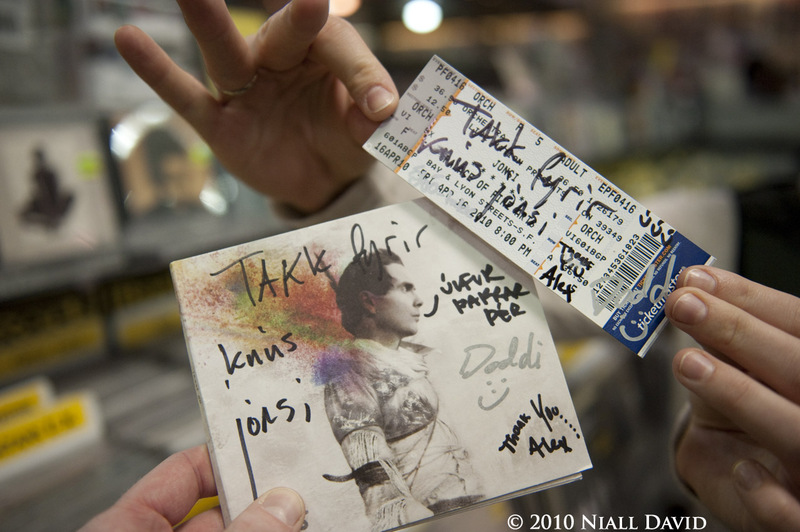 The most popular post that day was Meeting Jónsi and the Band. The top referring sites in 2010 were facebook.com, jonsi.com, en.wordpress.com, slashingtongue.com, and Google Reader. Some visitors came searching, mostly for niall david photography blog, niall david photography, dogwood flower, niall david, and building photography. Very cool. Thanks for the support on the 365 project! More to come in 2011!